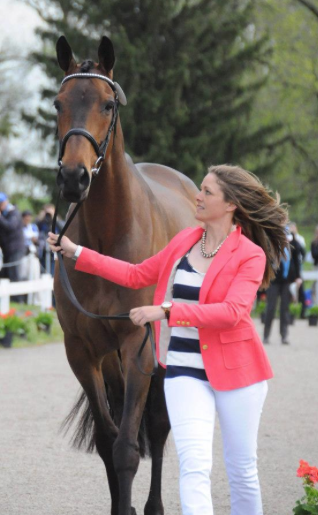 Equestrianista of the Week- Lynn Symansky! Getting the Horse Inspection outfit Right! Lynn Symansky has 25 years of competitive equestrian experience, and over a decade of international experience. 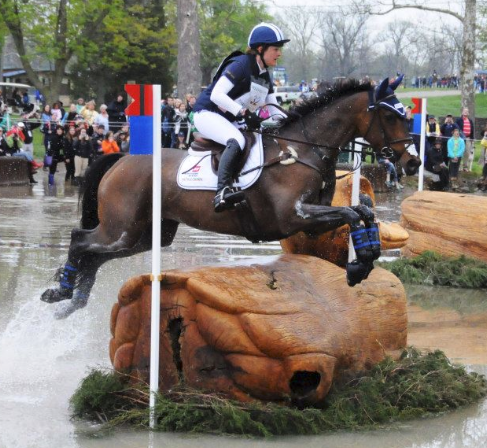 She has been competing at the Advanced level of eventing since she was 18-year-old. 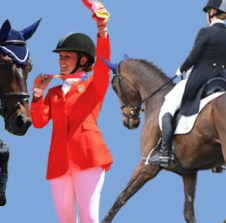 In addition to her competitive career, Lynn also has extensive teaching experience – her students range from kids learning how to ride and adult amateurs starting to compete, to young riders and adults moving through the upper levels of the sport. Lynn is a USEA ICP certified instructor and has coached eventing and show jumping teams for the USPC at regional and national championships for many years. Lynn’s accomplishments are long and impressive- So far this year, she’s on a roll and at the top! 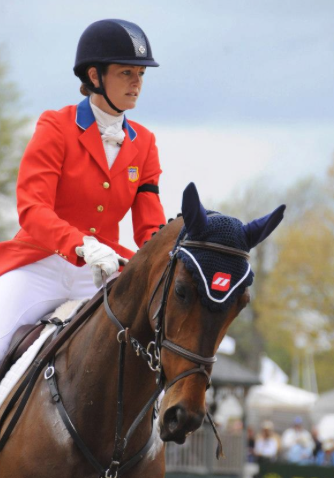 In 2013 Lynn and Donner won the Fork CIC3* and finished fifth place in the Rolex Kentucky CCI4*. The pair were also named USEF Reserve Champions and received the Zeppa International Trophy for Best Turned Out as well as Donner being awarded Best Conditioned Horse and Highest Placed OTTB. Lynn has aspirations to compete at the top level of the sport as a member of the Olympic and World Equestrian Games Teams, but still enjoys the day to day process of bringing young horses along as well as training the country’s future stars. At The Rolex **** 3-Day, this year, Lynn what the talk of the town for her trendy, functional, fashionable clothing choices for Horse Inspections on both days! I had the privilege to catch up with Lynn between her busy schedule to find out what’s her style and how did she come up with those great outfit choices? Poor Lynn- It took her 5 hours to find her jog outfits! I was very inspired by the trendy pastels that are so popular right now, and that trend was well represented on the jog strip this year. I knew it was going to be cold, so pants and jackets were definitely the way to go, and I just tried to pair great colors with neutrals- i.e. mint and tan, coral and navy, etc. Then, I just added jewelry and a great pair of classic flats to tie it all together. I actually hurt my back the morning I was going to get jog outfits, so I brought my students Leslie Mintz and Hannah Bennett with me, who are both photographers and know what photographs well. They get all the credit for helping pull the outfits together. I wasn’t able to really move much that day, so they brought a ton of outfit choices to the dressing room and I very slowly and carefully tried them on until we found something that worked. THAT’S why it took 5 hours! I could barely move that day. Luckily we found a really cute pair of snakeskin flats that worked with both of the outfits, and seemed to fit my feet. Since I was not able to run to test them out, we were hoping they stayed on for the jogs! 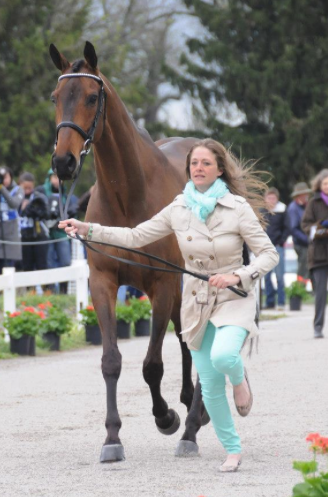 Do you have any advice for other competitors that are trying to put an outfit together to present their horses? Always wear things that you can run in, and be mindful of how the outfits will read when you are photographed. I rejected a few options because I knew they wouldn’t look all that great as a two-dimensional photo. Also find something that suits your personality and complements your horse. Be sure and always do a test run to make sure any skirts/dresses stay in place, pants don’t fall down, nothing is see-through, or shoes fly off! Click here to get Lynn’s Look! What are new things you’re obsessed with? A BIG Thank you for getting me in the Top 5 at Rolex!!!! First and foremost, my horse gets a LARGE majority of the credit. He’s just 10 this year and put in a great debut at his first four star, and I couldn’t be more proud. My barn manager/groom Sarah Berhalter took outstanding care of Donner all year and at Kentucky, and helped keep him healthy, happy, and looking great. My parents are always huge supporters and cheerleaders, and it was great to have both of them there. All of my clients that both came to Rolex and were cheering from afar gave me so much inspiration to perform well, as well as all of the social media love! Dr. Bishop, Dr. Seiler, and Dr. Mark Hart were instrumental in helping me with my broken hand and ensuring I was able to ride to the best of my ability. I also owe a huge thanks to my owners as well as clients who had horses in training with me and had to patiently wait for me to get back in the tack to compete after I broke my hand as Donner became the primary focus. Donner’s amazing vet Dr. Susan Johns and Virginia Equine Imaging, his farrier Randy Pawlak, Phillip Dutton and Linda Zang for the help leading up to Rolex, and longtime coach David O’Connor. My SpectraVet laser was instrumental in helping to heal those bumps and bruises on both Donner and myself. Southern States, Triple Crown and Strongid for fueling my horse and keeping him healthy and looking and feeling great. CWD for their fantastic saddles and tack and Animo and Charles Owen for keeping me looking sharp and stylish,Also big thanks to Wow! 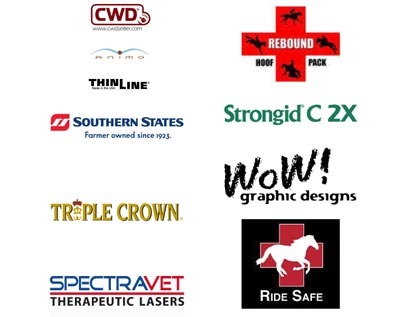 Graphic Design, ThinLine, Rebound, and RideSafe for their sponsorship. I just piloted an amazing horse around…it was everyone else that helped to make it happen! Stay Tuned for Part 2- Lynn’s Basics, Must Haves, Travel & Rider on the Go Tips, and What’s next for Lynn! Most Equestrianista’s have a sidekick- Meet Dixie!